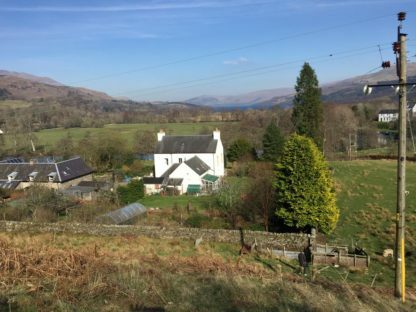 Leirsinn Mhor is a detached house set in an acre of land, located in Killin with mountain and river views. This dog-friendly holiday home comes with 6 en suite bedrooms (7 upon special request), a large kitchen with dining area, living room, snug, sun room and a games room. Guests can relax in the gardens, which feature a vegetable and fruit garden and offer barbecue facilities. The house offers views from the front over the River Lochy and Tarmachan Ridge. Leirsinn Mhor is walking distance to all of Killin’s facilities including 6 bars, 2 cafes, shops and a park. Stirling, Pitlochry and Crieff are all 28 miles from the property, while the nearest airport is Glasgow Airport, 41.6 miles from Leirsinn Mhor.